The Orinoco River flows from the Andes in Colombia to the Atlantic in Venezuela. 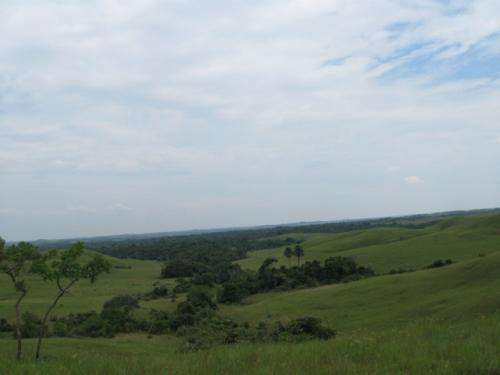 The area of the basin includes landscapes of the Andes, plains of the Llanos and the Guiana shield. Orinoco's tributary rivers form a basin considered to be the 3rd most important river system on the planet, and one of the most biologically diverse areas of the world. Colombia has shown a strong commitment to the achievement of the Convention on Biological Diversity's 2010 biodiversity target, by promoting the conservation of at least 10% of its natural ecosystems. 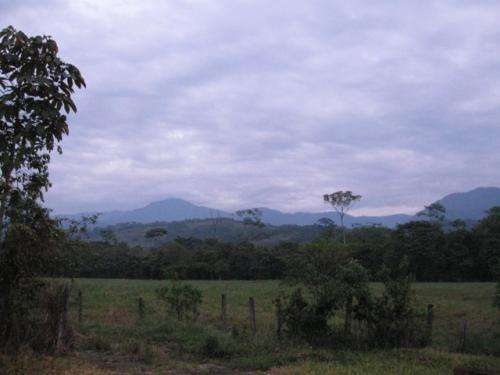 Protected Area categories in Colombia are undergoing a standardization process that should enhance the country's capacity to protect its ecosystems. It has been examined how the legislation and the civil society's initiatives help in the conservation of natural ecosystems in the Colombian Orinoco Basin. Just recently the Ministry of Environment passed a decree to standardize the Protected Area categories and to organize the National System of Protected Areas. More than 100 protected areas and more than 100 indigenous reserves have been established in the Colombian Orinoco Basin over the last six decades. However, the only strictly protected areas in Colombia are the National Natural Parks System Areas, which protect only 10% of the area of natural ecosystems and less than 50% of the natural ecosystems in the Basin. Indigenous Reserves help significantly in the conservation of the natural ecosystems in the Basin, but are not a Protected Area category, making it difficult for indigenous groups to assist with natural conservation in Colombia. Some areas in the Llanos eco-region have lost up to 1/4 of their woody vegetation cover in the last decade. The natural savannas have been destroyed at an annual rate of more than 1,000 km² and converted to pastures and oil palm plantations. Some areas have management problems, such as the lack of control on the population growth inside the parks and the unsustainable use of the resources. Burning occurs more often in the natural savannas inside Indigenous Reserves than in private ranches. Private ranches dedicated to cattle farming on native vegetation tend to burn less often than other areas in this region. This might be a good indicator of the high-quality management capacity of private landowners. Most of the lands owned and managed by indigenous people are still in a very good ecological condition, based on the percentage of natural ecosystems they hold, especially compared to the National System of Protected Areas. Making the Indigenous Reserves a Protected Area category would help greatly with the conservation of the Colombian Orinoco Basin, but this is a significant national debate, with a lot of controversy around it. Although the protected area has almost doubled, ecosystem protection does not increase proportionally, which is a sign of the lack of planning and management capacities of the regional and local governments that established most of these areas. Urgent actions should be taken to ensure protection of the natural ecosystems of high conservation value, as these may be significantly endangered. It is possible that more than 22,350 km² of natural savannas will be lost over the next 10 years, and effective counter measures are necessary now to prevent losing these biodiversity hotspots forever.